1219.00 sqft. - 2512.00 sqft. DD presents a housing project located in Periyanaickenpalayam, Coimbatore. The project comes equipped with all the basic facilities necessary to meet daily requirements of the modern urban lifestyle of its residents, including Others. In Avenue Plots, the interiors are thoughtfully designed to provide adequate space, light and ventilation to the residential units. Periyanaickenpalayam is well-connected to other parts of the city via an extensive road. 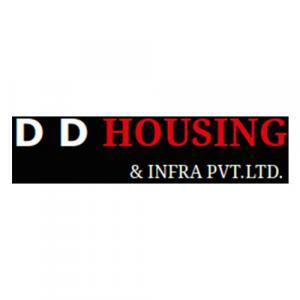 DD Housing and Infra Pvt Ltd is one of the emerging name in the Real Estate Industry that promises to deliver the best and uncompromising quality projects. They operate with a high degree of transparency, as quality matters a lot for then in order to meet customer's needs and desires. Their unique professionalism embodies code of ethics, a committed and a management team that can foresee future trends and capture them. One of the top builders in the city, DD Housing and Infra strongly believes in giving the best infrastructure to its clients without compromising on the quality to offer a fine living space.